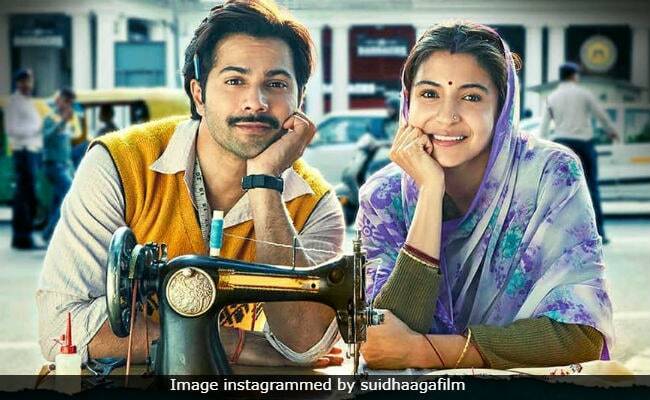 Well-intentioned but somewhat facile in parts, Sui Dhaaga - Made in India stitches together an agreeable yarn about a small-town wedded couple's attempt to set up a fashion design business in the face of a slew of daunting challenges hurled at them by their own families and acquaintances as much as their rivals. The film's lead pair, Varun Dhawan and Anushka Sharma, despite operating well outside their respective comfort zones, achieve optimum results. The two get into the warp and woof of the tale quickly, and charmingly, enough to help the film rise a few notches above the ordinary in terms of appeal and impact. Mauji (Dhawan) and Mamta (Sharma) have been married for a while but they never have anything to say directly to each other. They do not as much eat together: Mamta is far too busy doing her in-laws' bidding to find any time for her husband. Theirs clearly isn't a match made in heaven. They are in a loveless relationship that rests on communicating solely via family intermediaries. Mauji's exasperated father (Raghubir Yadav), a superannuated government peon, frets over his son's floundering ways, but there is little on the horizon that could spur Mauji into life-altering action. He works in a shop that sells sewing machines while the wife is trapped in the domestic grind. His employer and his son treat him like dirt. As Mauji struggles to retain his dignity, any talk of the boy returning to his grandpa's calling - tailoring - is summarily shot down by his worried dad. The latter has seen his own father fail big time, reducing the family to penury. Mamta comes into her own when she realizes that her guileless husband could do infinitely better in life than serving the whims and fancies of his exploitative employers. She eggs him on to become an entrepreneur in his own right. The twosome strives to push their way out of the trough as Mauji gathers the courage to branch out and tap into his inherited tailoring chops. This is a terrain where weavers, embroiderers and artisans have seen better days and lost the gumption to dream. Mauji dares to buck the trend. The rest of the film is about his and his wife's travails, some parts of which touch a chord while a few others suffer from a laboured, contrived feel. 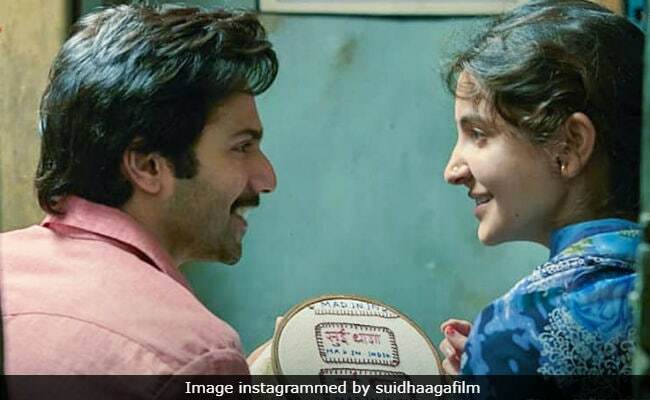 Sui Dhaaga tells the classic tale of an underdog fighting parental cynicism, scheming acquaintances and his own shaky resolve on the way to realizing his full potential, but it isn't as if the character of the woman is condemned to secondary status in the film's overall scheme of things. Mamta, deceptively steely and clear-headed, morphs into a genuinely strong figure. Anushka gets into the skin of a housewife who sheds her docility and takes on the role of a driving force for a diffident partner. Varun presents an endearing, convincing portrait of a young man in the throes of a tussle to be recognised for who he is. For both actors, their turns in Sui Dhaaga would count as a leap forward in their evolution as screen performers. Writer-director Sharat Katariya (Dum Laga Ke Haisha) displays a refreshing adroitness once again at creating the ambience of a small town that sits on the edge of modernity but cannot break free from its traditional values. 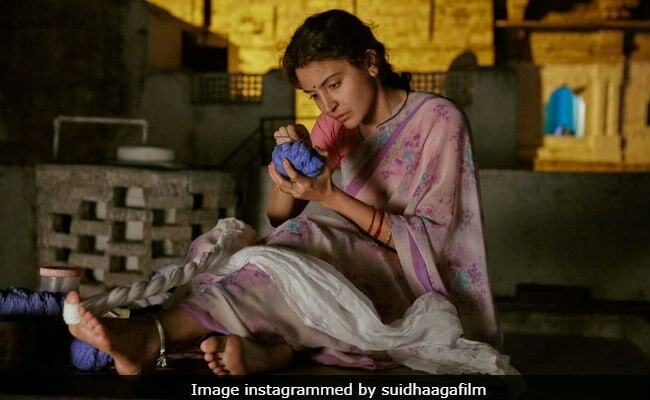 The Sui Dhaaga narrative is set in Chanderi, Madhya Pradesh although portions of the film have been lensed in Delhi NCR. The characters that populate this landscape are largely believable. So notwithstanding the occasional wobbles that the film has to reckon with, it sails through in one piece. 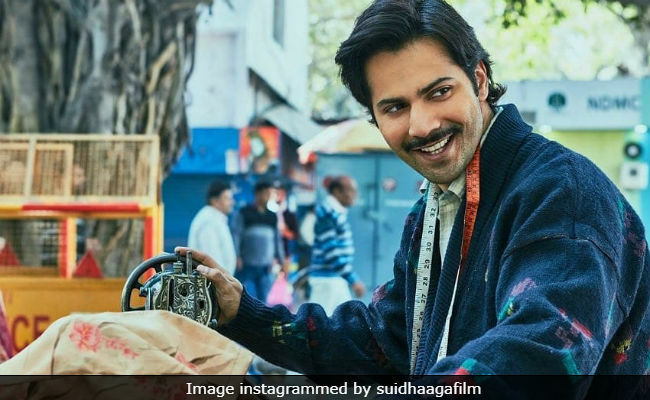 Sui Dhaaga falls well short of perfection, but it never comes unstuck. It passes muster as a wholesome entertainer embellished with humour, warmth, authentic emotional trappings and actors adept at going seamlessly along with the flow. Definitely worth the price of the ticket, if not more.